Tableau’s last Conference On-Tour is over now. After Sydney, Singapore, Paris, London and Munich Tableau set the stage for it’s biggest event this year – TC Austin. 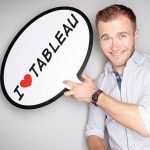 Many of you, who attended Tableau Conferences in the past are already aware of the fact that you can’t attend all the sessions you’d love to see! Therefore Tableau offers the ability to watch most of the content as videos on demand afterwards!